Lettuce alone!!! Lettuce alone? Or no lettuce at all? That is a salad issue which deserves delving into. And Andy’s Corner is delving deep into Army Officer Candidate School, circa 1968, looking at beans and donuts. What would I do without my compadres giving me inspiration and feedback? The other evening I got an email from Jane W in Sonoma, following up on our pun-filled last post. Jane sent a pun about lettuce. And voila – this blog’s title was created! And as I was thinking about salads, another friend and CC-mate, Joanne, emailed me the title of a book on food she highly recommended: Salt, Fat, Acid, Heat by Samin Nosrat. I ordered it. At dinner that week our friends, Buck and Carolyn, served a fabulous green salad with a dressing which I thought was perfect – not too vinegary, not too oily, just a touch sweet. Buck, who likes simple cooking, said it was a super simple recipe and agreed to share it: Seasoned Rice Vinegar Dressing, our newest Best of the Besties. That Friday Andy and I went to the great little farmers’ market in Sonoma and I loaded our bag with Romano beans and haricot verts, little radishes, and some Black Krim tomatoes, Persian cucumbers, and, of course, sweet corn. My blog ideas had congealed! But there will be no congealed salad recipes offered here. 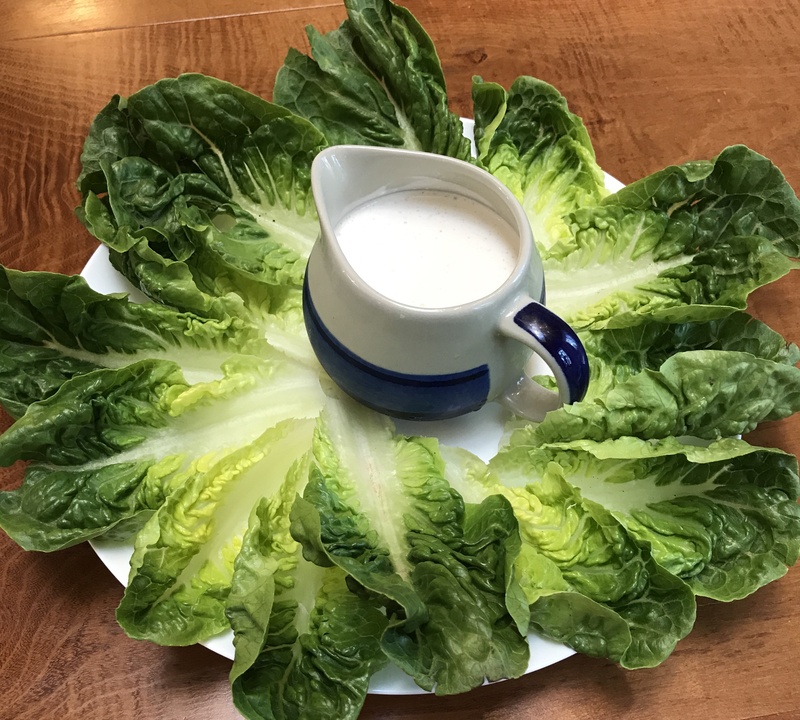 If you really must have lettuce by itself – perhaps you have no vegetables in your refrigerator except some Iceberg lettuce – it’s going to be all about the dressing. And here’s the winner in our minds: Blue Cheese Dressing (and/or dip). Don’t despair that the recipe is too much for just one or two of you, since it will keep up to 5 days in the fridge and can be used multiple ways (maybe it’s because I add a touch of Accent – aka MSG – but I am slightly addicted to carrots dipped into this dressing). Quick idea: pound flat a couple of chicken boneless/skinless thighs or breasts; quick fry them with salt & pepper, add a little hot sauce to pretend they’re Buffalo Wings and serve them with the dressing along side. About the MSG – it’s gotten a bum rap, so be sure to read the two articles that I just posted under Food for Thought. And while you’re there, read the article I posted on “Why Salad is so Overrated” from the Washington Post. Gives one pause. Lettuce-less gets my vote for salad preferences, and I’m not alone. Deb from smittenkitchen.com, my very favorite food blogger, has this to say about lettuce. We know that there is some question about whether growing lettuce in huge quantities is really that good for the world’s environment (see Food for Thought post from 5/21/2017), but even putting that aside, I find iceberg and romaine and butter lettuce all a little boring. I had a brief love affair with Baby Gem, but I’m over that too. 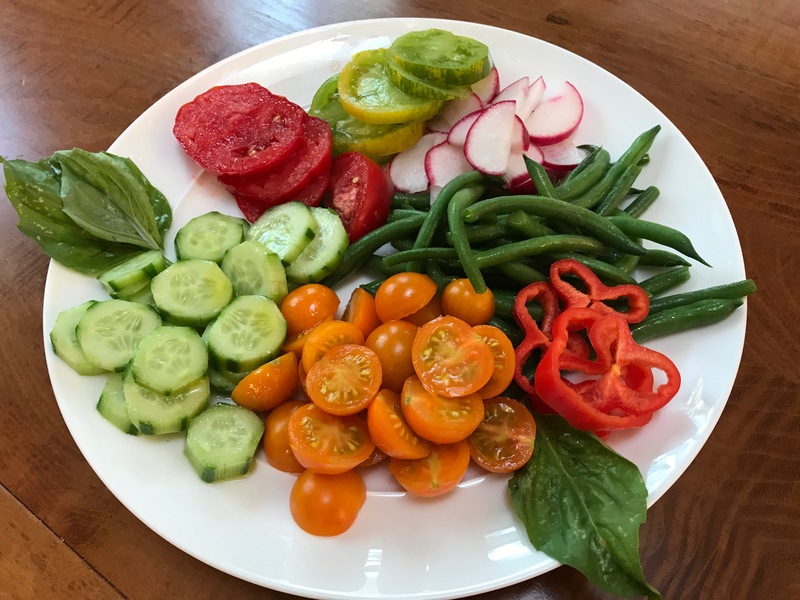 Lettuce-less idea #1: slice your freshly-picked, height-of-the-summer, tomatoes, cucumbers, radishes, and/or quickly blanched string beans. Drizzle a little of the Seasoned Rice Vinegar Dressing on them, plus a sprinkling of sea salt and pepper – and eat and enjoy. Or if you can find Buffalo Mozzarella, put some of that on your sliced tomatoes, along with the drizzle of dressing and a little fresh basil, and you’ve got an Italian salad – plus, sheer utter deliciousness. Lettuce-less idea #2: if you want a tossed salad, take the same veggies and cut them up; add a little diced red onion and some diced feta cheese, sliced Kalamata olives, and a bit of minced fresh oregano leaves, if you want. Then toss gently with the Seasoned Rice Vinegar Dressing to taste. If you’re having company, impress your guests by referring to it as a Horiatiki Salata (Greek Salad). Lettuce-less idea #3: if there’s beautiful sweet corn at the market or you grow it in your yard, you’ve got to try Corn Salsa Salad which comes mostly from Tacolicious and Sara and is summer perfection. 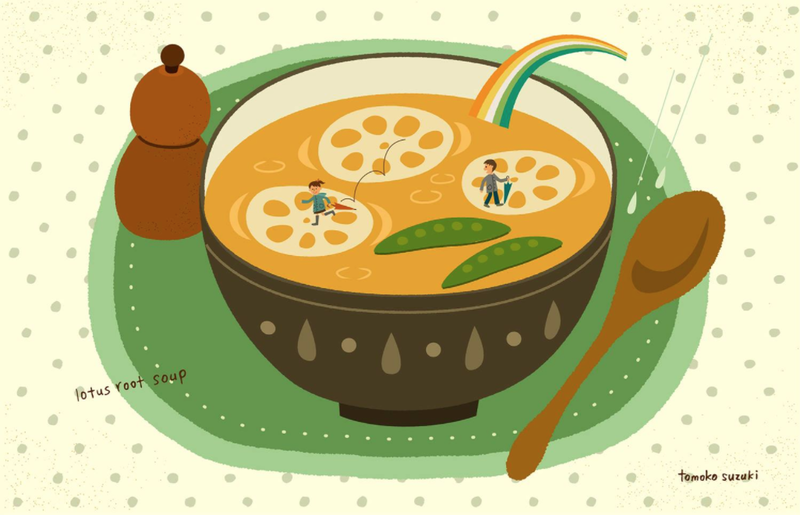 It keeps well; it’s easy; it goes so many ways, and it’s YUM. Plus, it doesn’t have any oil in it, if that’s important to you. Lettuce-less idea #4: if you’re loaded up on freshly-picked carrots and bell peppers and cucumbers and/or zucchini and want something Asian-inspired, try the Peanut-y Asian Slaw. Salt Fat Acid Heat has a Vietnamese Cucumber Salad with peanuts and a similar dressing, but I decided to branch out from that and incorporate more fresh veggies….and even kale, should you have it. Finally, a reminder that you’ll find other tempting lettuce-less salads under the Recipes category. One that got rave reviews recently is Mystery Mix Rice Salad. Put all of the ingredients into a jar with a top and shake vigorously. If you have one of the salad jars as is pictured in our Lettuce Alone blog, do the following: fill the vinegar to the Water line (W); then add olive oil up to the oil line (O); then add the mustard and garlic and shake. Taste and then add salt and pepper if desired. Drizzle the dressing over fresh, sliced tomatoes, cucumbers, blanched green beans or use it to dress any tossed salad. Recipe brought to you by Buck and Carolyn in Santa Rosa and SF and by BigLittleMeals.com. This is a delicious dip for veggies such as carrots, cucumbers, radishes, celery, red pepper; it was made to go with Buffalo Wings; and it’s a fabulous dressing to pour over chopped Baby Gem, romaine or quartered iceberg lettuce.